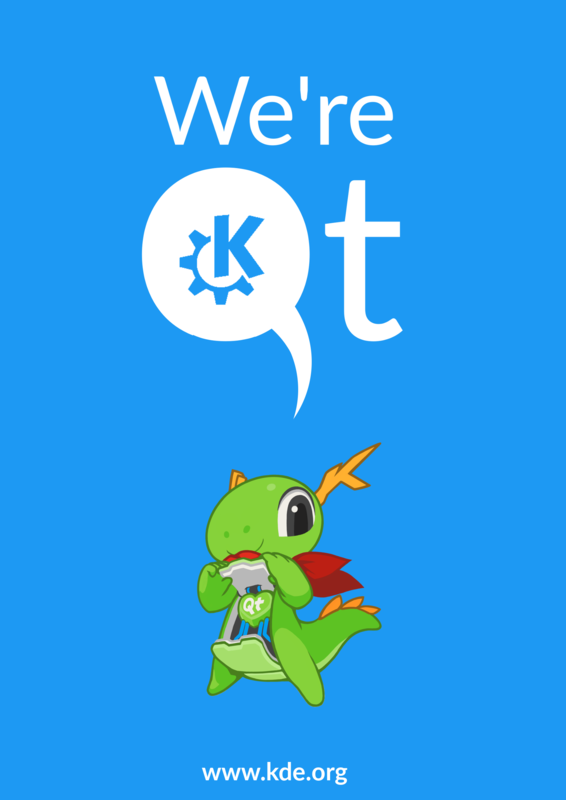 Things we're going to do to promote KDE at the for Qt Word Summit. paulb added a subscriber: hein. We have awesome dev tools you can use while making software: KDevelop, Massif Visualizer, KCachegrind, etc. This is what interests people who walk around in the expo floor. It's what we will tell them about, answer questions about, show off, etc. Adding Jens who will do visual design work on promo materials. In 2015 we had a set of awesome wall posters that contained much of the above. I hope we can find them and post them here for reference and/or updating. Adding Sune who did QtWS organization in past years and is #2 this year. Adding Leinir who is going to do work on demo loops. I have ~150 KDE frameworks flyers. @jensreuterberg I like both - maybe we can combine? Definitely I'd like the KDE booth to be a visually more striking presence this year. Not only was the booth I manned in 2015 relatively barren - a lot of the corporate booths around us were just as much, meaning the bear to stick out dramatically isn't actually that high. Use of color and fills is nice. Yes, being consistent would be good. So maybe settle on a theme and derive all other items from there. So... shall we brainstorm a theme? Would you say KDE is a like a tree trunk from which many technologies branch out from? If so, we can go with a nice relaxing forest theme. Or, if you want to go really out there, with a Norse KDE-is-Yggdrasil-and-our-booth-is-Asgard theme and booth staffers wear horned plastic helmets. I would suggest going for the "Tropical Beach" motif. 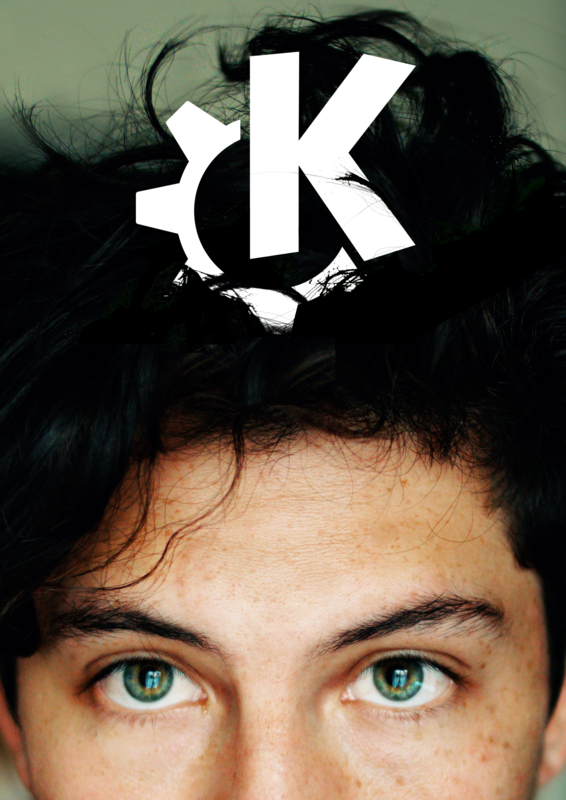 Blue clear skies high in the imagery where we can slap the K-logo in white at the top on the blue skie. Use core messages like "relax", "work smarter, not harder" and focusing on how we improve work for developers. Essentially pushing hard for being the COUNTER to stress since stress will be a thing there and stress is something every single dev in the world can relate to (and automating drudging tasks to improve work flow is a huge part of the work so "work smarter" is sort of part of it). Hey folks, just to make sure the info in this task is relevant: are you still going with the "KDE Powers You" theme that was discussed on IRC/Telegram? Yep, still the plan. Updating the task would be highly useful and appreciated! @jensreuterberg is working on assets currently. KDE could provide a power station at the booth, so people can charge their phones (we provide something practical and immediately useful). This keeps them longer at our booth and gives us time to talk to them about what we do. Instead of the beach-themed relaxation area, we would be going with "KDE Powers You" charging station area + potentially a live hacking session demonstrating the use of Qt+KDE technologies. So "KDE em-powers you" can be a whole theme. And it totally is our message at QtWS anyway - we make things that support Qt-based deving, so it it's literally powering devs. From the POV of the QtWS audience, what we want to tell them is more or less this: We use Qt to make lots of fancy software, and in the course of doing so we've made libs and tools that complement Qt, and since you're also making fancy software using Qt, chances are you probably need something like our libs and tools too. So use them and/or let's improve them together. I.e. 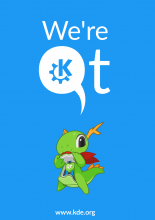 the value of KDE to a QtWS visitor is that KDE is a major Qt user that doesn't hide its cool stuff for competitive advantage but shares it freely. paulb closed subtask T6846: Qt World Summit: Booth as Resolved. paulb closed subtask T7315: Qt World Summit: Postmortem as Resolved. paulb moved this task from Review - Tasks awaiting final sign-off or decision to Done on the KDE Promo board. skadinna closed this task as Resolved.